Say it simply and say it with strength. That's the concept behind our men's 18k white gold cross pendant. As a cross of solid gold. Yet its high polish and clean crafting give it a simple elegance. And it still can be engraved on either side to make it a keepsake that can be passed down through generations. 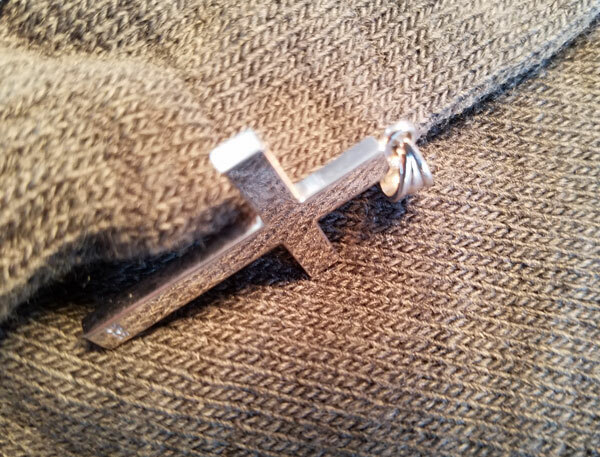 That's probably why it is our best selling men's cross pendant. Approx. 9.5 grams of guaranteed 18k solid white gold. Also available in 18k yellow gold, 14k white gold, or platinum. 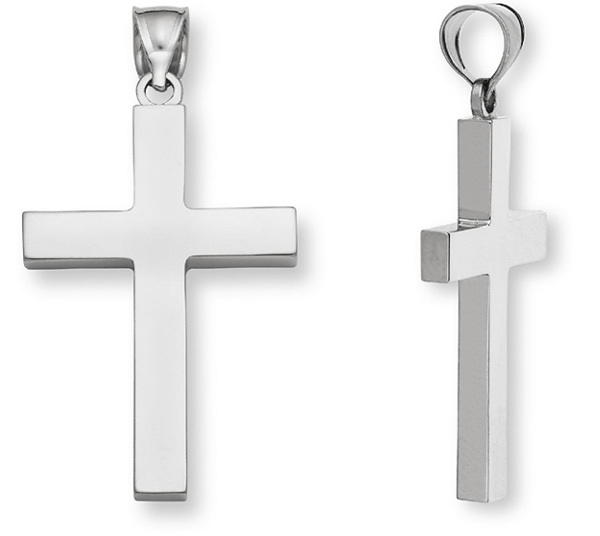 We guarantee our 18K White Gold Men's Cross Pendant to be high quality, authentic jewelry, as described above.